Yay! The title of the Tamil remake of Telugu blockbuster Vijay Deverakonda's Arjun Reddy has finally been revealed. The remake will be called Varma. Actor Chiyaan Vikram's son Dhruv will make his acting debut with Varma.In Sandeep Reddy's Arjun Reddy, which released this year, Vijay featured as Arjun while this time Dhruv will reprise Vijay's role in Varma. 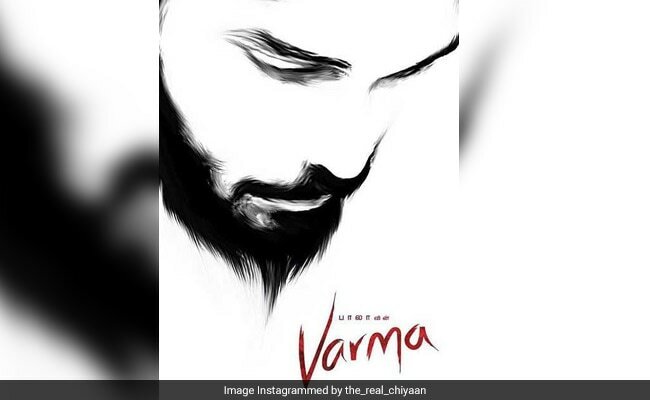 Sharing the first look of Dhruv and revealing the title of the film today, Vikram Instagrammed a picture and wrote: YOU'RE GODDAMN RIGHT. #varmathemovie #dirbala #dhruvvikram #E4entertainment @Itsjosephjaxson." Within two hours, the picture has received over 15,000 likes. Fans' excitement is clearly visible in the comment section. "OMG killer poster. all the best," read one user's comment while the other read: "Hearty welcome to Jr .Chiyaan ..#Wish you the Best #dhruv Good luck." Earlier, sharing the news of Dhruv's debut, producer Mukesh Mehta wrote: "We are extremely happy to share that Dhruv Vikram will be essaying the lead in the Tamil version of Arjun Reddy. We are honoured by the opportunity and confidence shown in us by Vikram and we will work towards making it a memorable launch." The remake of Arjun Reddy, which is now called Varma, is directed by Sandeep Reddy Vanga. The original film received a great response from the audience. With a budget of Rs. five crore, it had managed to touch the 50 crore mark at the box office. With all this excitement, we already can't wait to watch Dhruv in Varma. Are you excited?